We do “Halloween Lite”. This year included our church’s Fall Fest, a birthday party on Halloween & a little neighborhood trick-or-treating. I discovered this candle when it was used at the Hollywood Heights home show last spring. Bought one at a local boutique soon after. 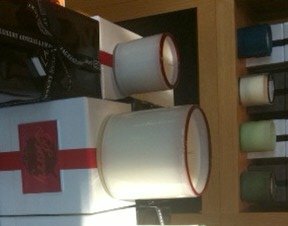 This week I was eating at my favorite “girly” lunch place (Celebrity Cafe) and I looked up and saw rows and rows of my new favorite candle at Santa Maria Novella at Highland Park Village. They are the largest distributor of LAFCO in Dallas (only a few other exclusive stores in the country). candles sit in beautiful hand-blown glass. They had new Christmas scents, berry & tree. AND I learned you can buy a box of 3 smaller candles. But they are less cost-effective than the larger candle but you can get 3 separate boxes for each candle to give away as gifts. Prior to heading to Relevant I rediscovered my love of crocheting…may be a pregnant thing. I decided to crochet some flowers to give to some girls I had met on social media and also to have available as gifts while I was there. Another favorite this week was ending my time at the Relevant Conference, sitting in the Incourage lounge on the comfy couches, crocheting next to my fellow preggo, boy-mom friend, Erin from www.homewiththeboys.com . 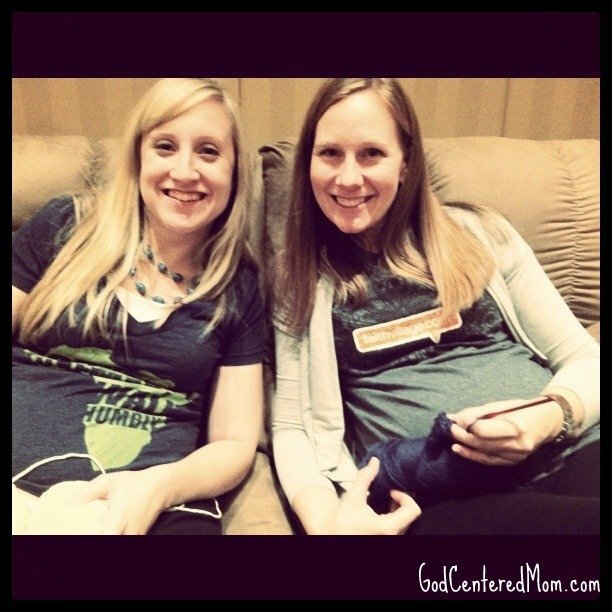 We are due days apart from each other…she is having her 3rd boy. Loved pulling into the driveway after being away for 4 days to find pure joy on the face of my middle son. While I was gone my dad and hubby worked hard getting projects done around the house. They hung up this great swing from a tree in our backyard. It has been the highlight of the week. 3 boys. 1 swing. Requires a lesson in sharing and me stopping what I’m doing to push boys for hours and listen to laughter of delight…definitely a favorite! Of course, thank you Nana & Poppy for taking great care of the boys this past week. Doing laundry, folding laundry, cooking dinners, cleaning out the fridge, reading books, changing diapers, putting up a motion sensor for garage lights, loading and unloading the dishwasher, and every other thing you did to help our family! What were some of your favorites from this past week? There’s a lot of joy in these pictures! Ohhh I love it!! STAR WARS IS AWESOME!!!! 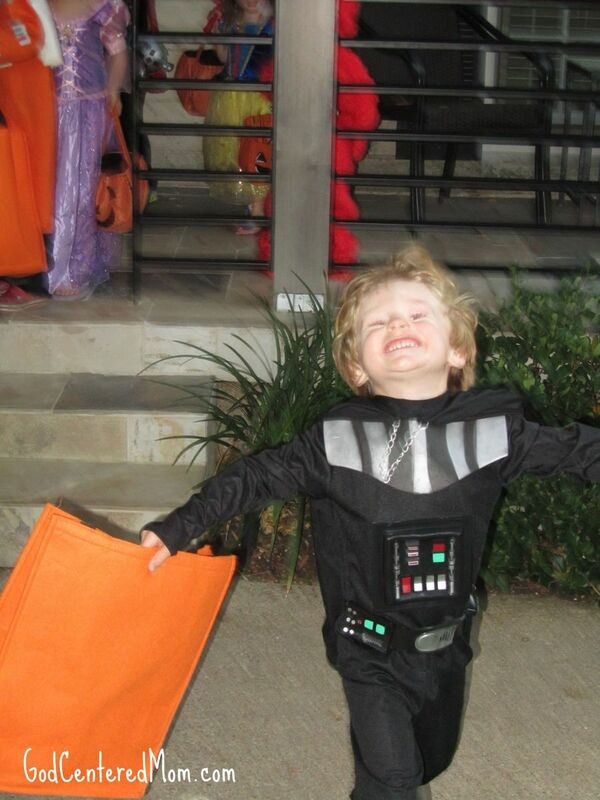 I love the joy on the “darthVaders” face –SMILES!!! Wonderful. I want to smell the candles!!! Stopping over from Finding Joy . Comeby and see Friday Facts with ME! :0) have a great weekend. What a fun-filled family week you have had! 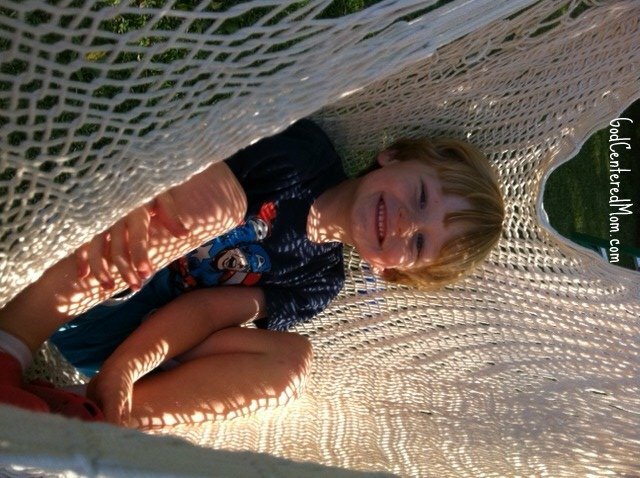 Love the hammock!! thanks roomie! we got that in Mexico last Christmas and this was the first time we had it up…can swap it with the swing. Oh, the crochet flowers! I love, love mine and the thoughtfulness behind it! you are oh so welcome! thank you for being the rock from which I could be myself during Relevant! 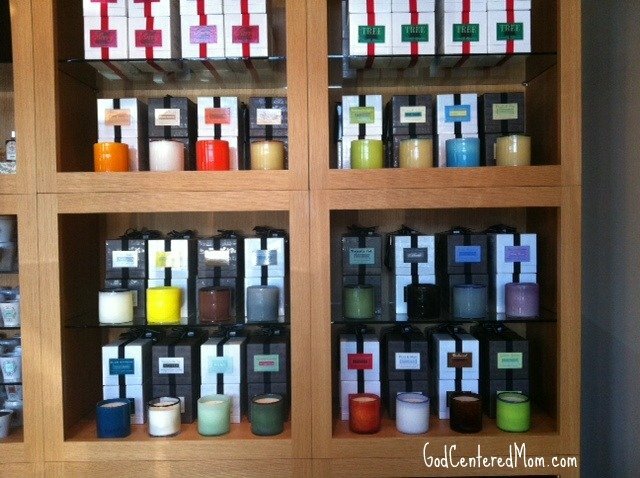 Stopping by today from Finding Joy – I will check out that website for candles. I LOVE candles. Hope you have a great weekend. We are just having Halloween today since we had a big storm last week and Halloween was cancelled. make sure you click the link on the title…that will take you to the main website…which shows each scent by room (how they organize it). have a great halloween! thank you! 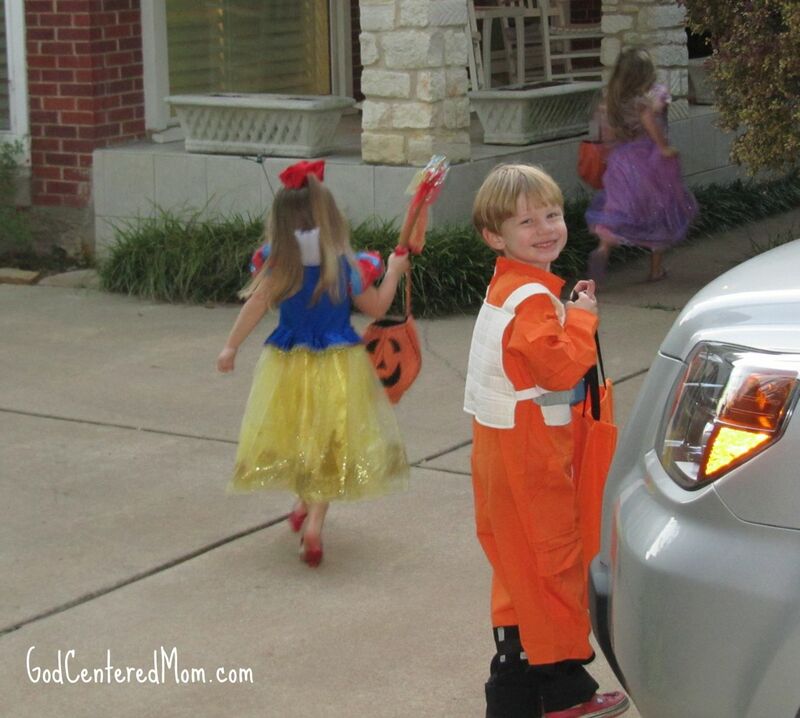 i’m sure a pregnant princess leia would have added a lot to the picture, but it may also have stolen the show…directing attention from all the cuteness. My favorite this week is Silk Pure Coconut Vanilla milk. Has 50% more calcium than regular milk and tastes unbelievable. I drink it “like dessert” all day long!